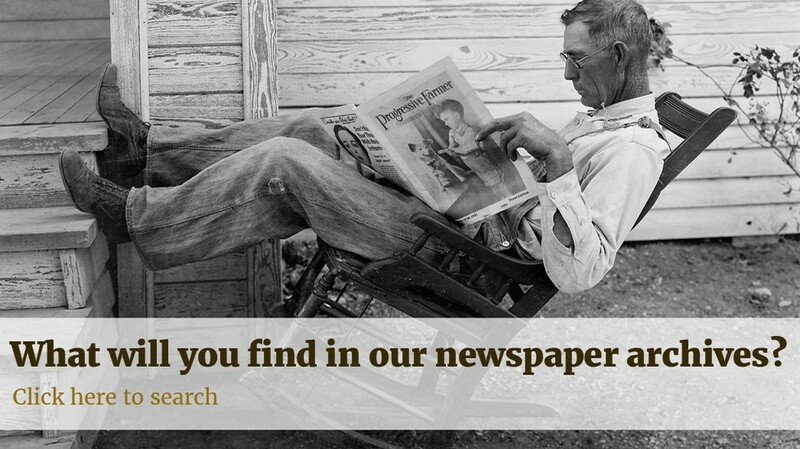 Our newspaper archive is a great way to gain insight to how our ancestors lived. If you're lucky, it may even help you put faces to names. But that's not all the archives are good for. Newspapers are all about stories. What better way to immerse yourself in another time than to read about it as it happened, perusing the same newspapers that would have been regular features at breakfast tables up and down the country? It's also a fantastic research resource used by everyone from football fans finding out their team's humble beginnings to novelists wanting to ensure authenticity and verisimilitude in their historical stories. One such author is Gill Hoffs. Here, Gill shares an incredible story she found while using Findmypast's newspaper archive for novel research. The shipwreck I wrote about in my first book, The Sinking of RMS Tayleur: The Lost Story of the Victorian Titanic, happened in early 1854; a time when there were an average of three vessels registered as wrecked every day in British and Irish waters alone. While researching contemporary shipwrecks, so I could better understand what was 'normal' for a wreck then and what wasn't, I uncovered the story of an inexperienced American captain who attempted mass murder. The William and Mary was an ordinary emigrant ship sailing from Liverpool for New Orleans with 208 passengers and no ship surgeon on board. Captained by Timothy Stinson, the arrogant son-in-law of one of the owners, the fate of the ship made news not once but twice in the summer of 1853. What first stood out to me was Stinson's habit of prescribing ham to treat passengers who had a fever – he hadn't bothered to engage a ship surgeon – and it's no shock that at least 14 of the emigrants entrusted to Stinson's care died en route. 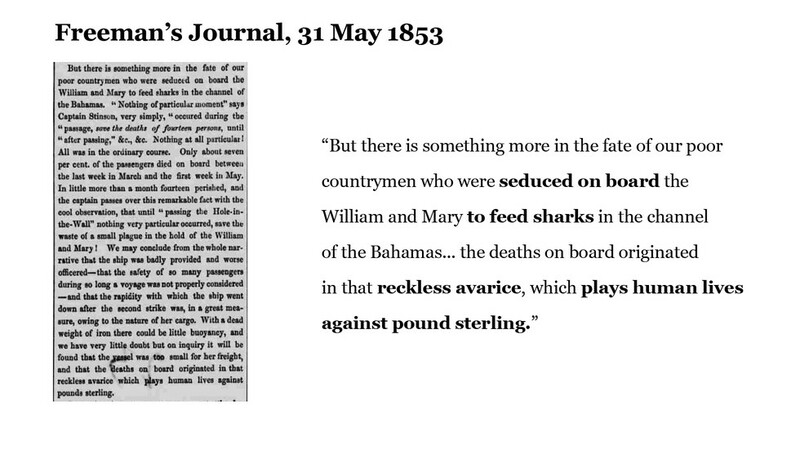 This relatively high mortality rate was exacerbated by the captain's semi-starvation of the passengers as they crossed the Atlantic. Six weeks later, when the ship wrecked in mysterious circumstances in the Bahamas, Stinson and many of his crew escaped with the remaining provisions in a lifeboat. They were picked up by a passing ship on its way to New York and declared all the passengers lost as the ship sank before their eyes, though they admitted the possibility that some may have escaped on a raft. A tradition of maritime chivalry (and salvage laws) meant people expected a captain to be the last to leave his ship, so many newspapers smelled a rat. Their suspicions were confirmed several weeks after that when word spread through America and then to Britain, Ireland, and the Netherlands that the majority of those abandoned on the wreck had survived – and the few who had died were murdered by the escaping crew with a hatchet as they attempted to clamber aboard the lifeboat. The passengers left on the sinking ship to die had instead operated the pumps for two days and two nights until a passing wrecking schooner came to the rescue. The courageous Captain Robert 'Amphibian' Sands risked his life ensuring all aboard were removed as the ship literally sank beneath him, and was subsequently presented with a silver medal from the institution which later became the RNLI – a highly unusual reward for an unusually brave man. Without Findmypast's newspaper archives I would never have known about the outrageous events on the William and Mary, been able to write either book, or to pass the information I found onto descendants of the people involved. 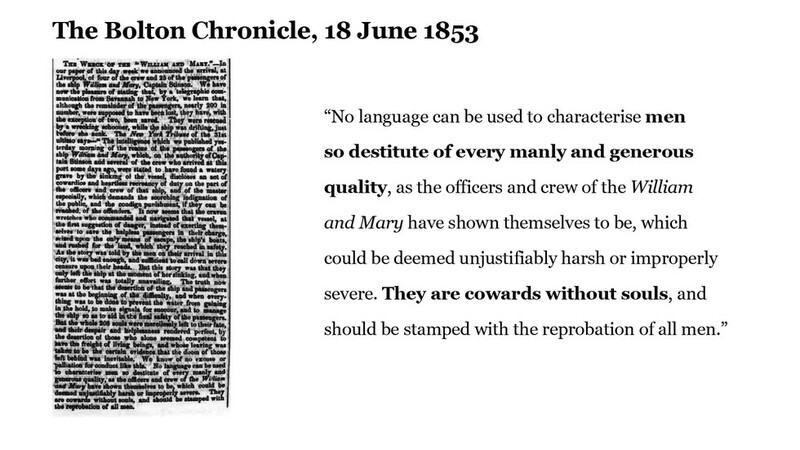 Victorian newspapers were very different to those published today. A boon to genealogists and researchers, they are chockfull of salacious and lengthy first-person accounts. By taking advantage of the search function and filters I was able to read the words of the survivors, trace some of the travellers' marriages and other family events, and also see how the Victorians viewed their world and the reprehensible actions of Captain Stinson and his crew. The bravery of Captain Sands and his crew will be remembered now … as will Stinson's shame.